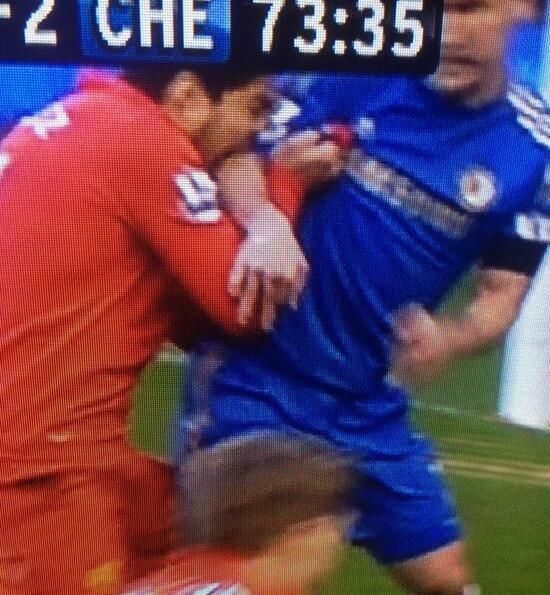 This Luis Suarez bites Ivanovic ( GIF VIDEO BELOW) may see the Uruguayan forward again land in hot water with the FA. The incident took place in the second half of the Liverpool vs Chelsea game on 21 April, 2013, with the Reds striker getting a good chunk of his teeth into the arm of the Blues defender. When he was at Ajax ( back in 2010), Suarez received a lengthy ban for biting Otman Bakkal.